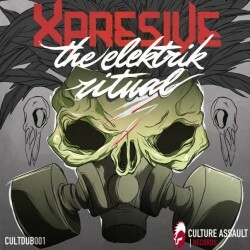 Xpresive has been known for making his dubstep ever since he started dabbling in this type of genre. Long list of followers who anticipated his tracks just proves that. Being an underground dubstep producer he has took a step forward and delivered his first ever LP (also being first CULTDUB release) exclusively on Culture Assault Records.